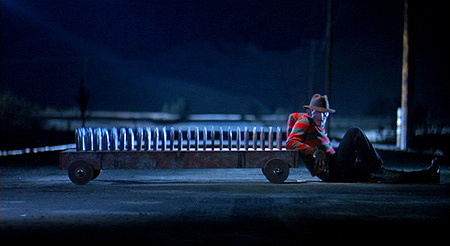 In Defense Of Freddy’s Dead: The Final Nightmare. Most of you know how Freddy Krueger is my all-time favorite horror movie monster - whether it was him terrifying people in the first A Nightmare on Elm Street, or making audiences laugh in the later films, I remained a die-hard "Fred Head" throughout. Much like my previous article for Blumhouse, in which I attempted to defend the much-maligned Poltergeist III, I've now turned my attention to what was one of the most poorly received Elm Street flicks. I'm speaking of Freddy's Dead: The Final Nightmare. While many fans didn't enjoy it, I've always had a soft spot for the sixth installment in which the filmmakers attempted to give the Springwood Slasher one crazy send-off. It's a nonsensical horror-comedy movie chock full o' laughs that never takes itself too seriously, and I think fans would enjoy more it if they could see it that way. What do you think? Check out the article and lemme know what your thoughts on the movie are. Don't forget the power glove! Good stuff. I think I appreciate horror a lot more through the lens of fan reviews than I would by actually watching. Previous post: In Defense Of Poltergeist III. Next post: Make Suggestions For Our Upcoming Underwater Pixel Poster!